A common refrain when policy diverges from ‘ideal’ is ‘if only we could take the politics out of the policy process’. The authors of this book argue that rationalist dreams of this nature fail to recognize that policy making is inherently part of politics; policy is the mechanism for giving citizens in a democracy the societal outcomes they seek. In a new and innovative way of thinking about public policy, the book places values at the centre of the analysis. It argues that citizens have differing visions of the good society and different values priorities. In making decisions on behalf of the whole community, policy makers need to recognize and manage these values differences. And in the same way, students of the policy process need to connect what government does with the wider political processes typical of a democratic society. The book casts a critical eye over public policy theory, introduces the reader to research on human values, explores the importance of language, rhetoric and persuasion, and draws on the insights from various strands of psychology in order to understand the realities of policy making in liberal democracies. 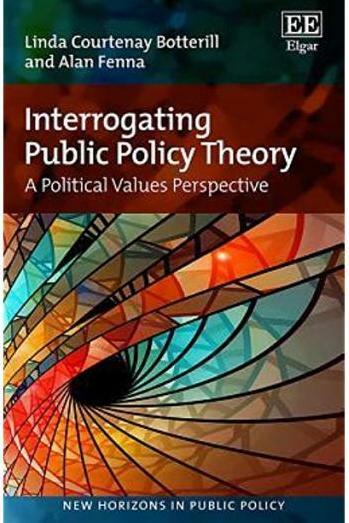 In so doing, Interrogating Public Policy Theory offers a refreshing alternative to existing analyses of the policy process. This book will be a vital tool for public policy scholars, as well as those upper-level students searching for a map of the policy studies field and a critical examination of the dominant theoretical perspectives. It will also be a unique, and innovative, reference for public policy practitioners seeking more realistic accounts of the policy process that help conceptualize the nature of policy conflict.